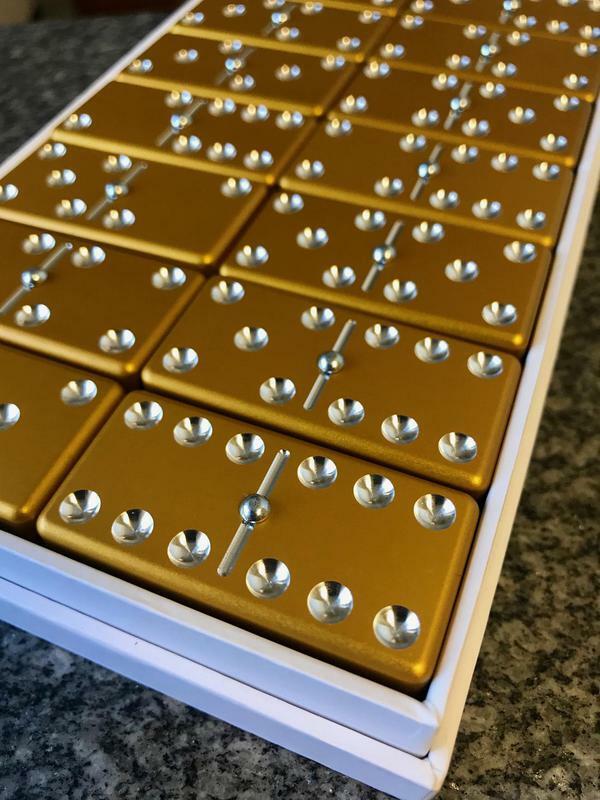 Deluxe gold anodized double 6. This gold and the silver exemplifies exotic to the N'th degree! Guaranteed to attract attention when you play them in public.